SERVPRO of South Philadelphia is a Women Owned Business and understands the stress and worry that comes with a fire or water damage and the disruption it causes your life and home or business. Our goal is to help minimize the interruption to your life and quickly make it "Like it never even happened." SERVPRO of South Philadelphia can handle partial room losses, large catastrophic commercial/industrial losses and regional storm response. SERVPRO of South Philadelphia is part of the Philadelphia Region Disaster Recovery Team and has a large and comprehensive inventory of equipment and vehicles as well as an experienced staff to respond quickly and professionally. We are ready to respond to your needs 24 hours a day, 7 days a week. We also have available CAT (catastrophic) loss teams ready to assist in managing and restoring large losses. We volunteer in numerous community events, such as Hydrating Heroes, the local Turkey Drive, the Philadelphia Phillies Red Goes Green, and the annual SERVPRO Golf Classic. 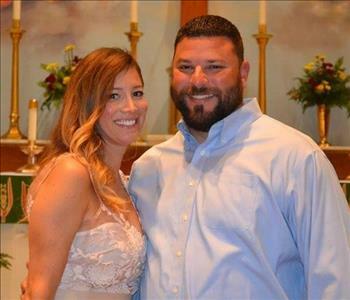 Hydrating Heroes is a collaborative effort in the Philadelphia region of SERVPRO franchises to donate water to and bring recognition to the first responders in the Philadelphia area. The Turkey Drive we run is held two Monday's before Thanksgiving and turkey's are donated at the Nativity BVM CYO. The proceeds of this turkey drive are distributed between 3 local food banks in Delaware County. The Philadelphia Phillies Red Goes Green night is where we volunteer at a home game and help with their efforts in making the world a cleaner place. These recyclables are collected from fans during the game in specific bags and then disposed of properly altogether. This past year we participated in the 11th annual SERVPRO Golf Classic which we proudly announce our First Responder Community Heroes as the recipient of our charitable donation following our golf event. SERVPRO understands the intense demands placed upon First Responders and with our donation we will provide much needed resources to help with emergency scene rehabilitation and management. SERVPRO of South Philadelphia is IICRC-Certified Firms (Institute of Inspection, Cleaning and Restoration Certification.) We are fully insured and meet both commercial and residential property management requirements. We have achieved preferred vendor status for many insurance and property management companies based on our track record of service excellence, integrity, and professionalism. Our staff is highly trained in property damage restoration. From initial and ongoing training at SERVPRO’s corporate training facility to regular IICRC-industry certification, rest assured our staff is equipped with the knowledge to restore your property. 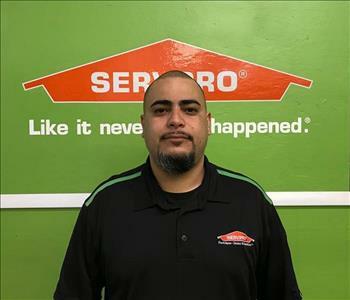 With a nationwide system of qualified franchises, no damage is too large or too small for SERVPRO of South Philadelphia.